Hi friends, happy Friday! I am sooooo excited for the weekend. I'm going to get my favourite takeout tonight from this Caribbean vegan restaurant (it's called One Love for those of you that are wondering…) and snuggle up with a movie. Tomorrow, I have a digital media and marketing conference to attend with a friend, which is perfect timing as I finish up my Masters degree this spring. 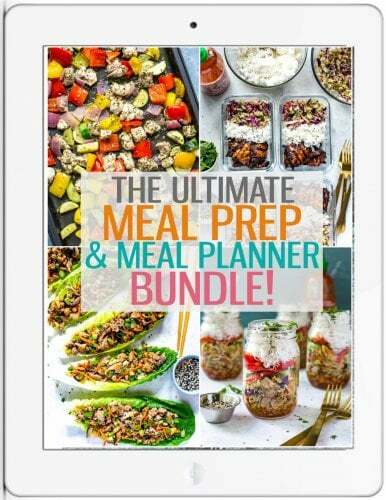 Sooooo many things on the go. With everything going on in my life, I've found it hard to keep up with the latest food trends but as soon as I saw this one coming, I know I had to jump on board the poke train.? Say hell to my Super Easy Tuna Steak Poke Bowls! 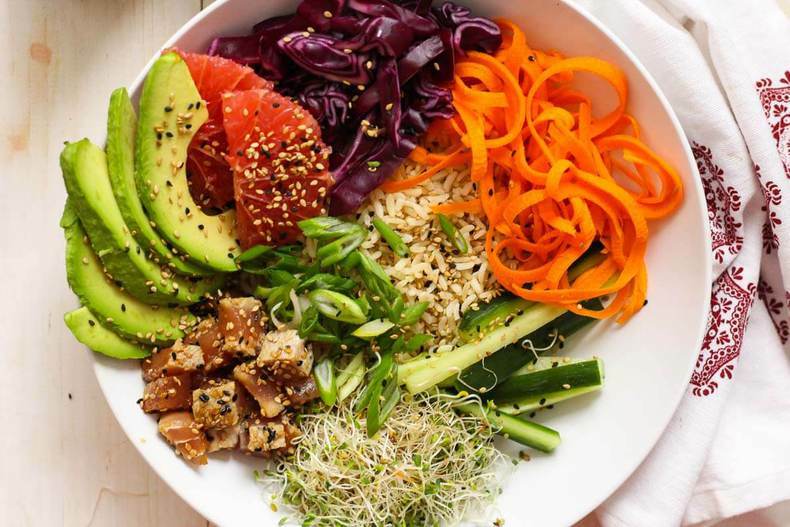 Filled with colourful, vibrant vegetables and brown rice, I created this spin on the traditional poke bowl to be hearty, filling and most of all, easy to throw together after a long day doing whatever you happen to be running around doing. Lots of colour, lots of flavour!? For all of those that don't know, poke is pronounced “POH-key”, and originates from the beautiful island of Hawaii. Poke actually means “to cut into pieces” in Hawaiian. Well, here's to taking that literally with this grain bowl! ?Now I know tuna is expensive, so one way to find a cheaper cut is to look for the kind that is flash-frozen. I truly love the taste and texture of fresh, but honestly it's such a high maintenance dish to buy fresh. You have to go to the store that day to get the fish, then the price can be ridiculous. Needless to say it's a once in a while treat for me. Avocado and tuna were made practically for each other – I fell in love with their smooth texture and delicious flavour the second I had them both at a sushi restaurant. I can't afford tuna very often, but it's worth it as a weekend treat. Though traditional poke is made with raw tuna marinated in sesame oil and soy sauce, I decided to sear it a little bit to add a crunchy, delicious flavour and texture. I'm so used to searing my tuna steak and then slicing it and eating with avocado, but I have to say the cubed version is growing on me. 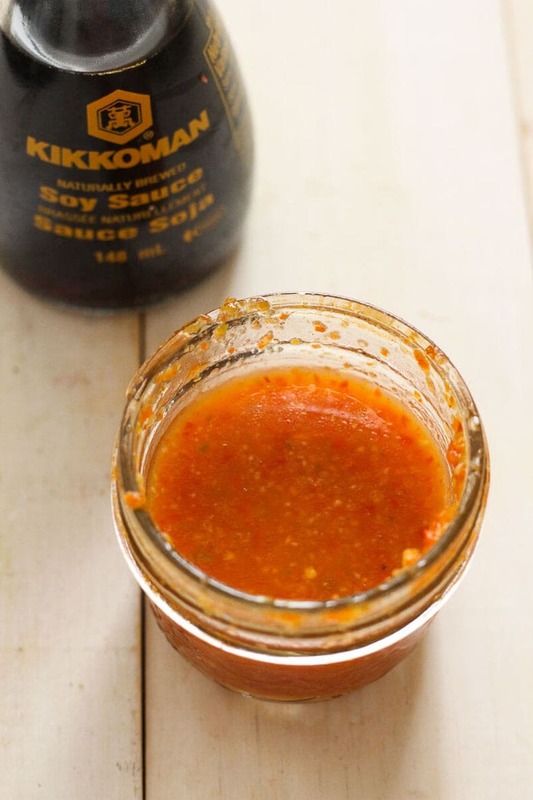 My version uses sesame seeds instead of oil for a more subtle flavour, then soy sauce and this delicious (but dangerous) habanero sauce finishes it off! 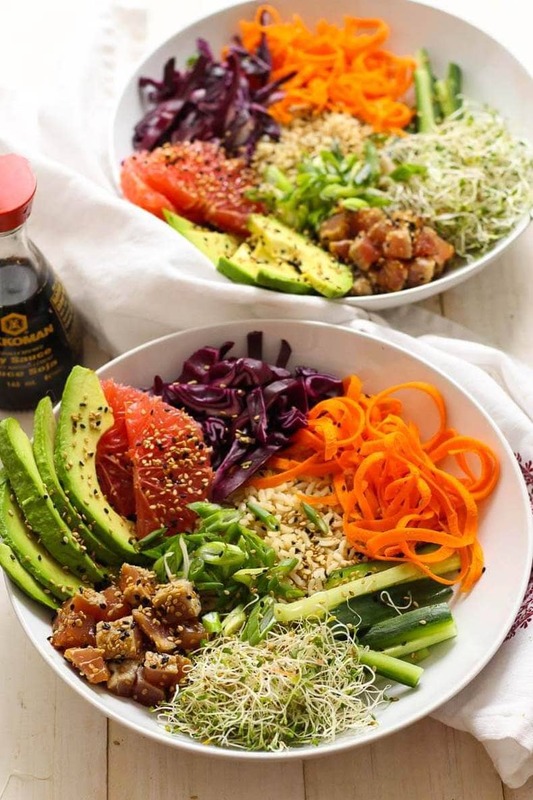 Will you be trying these Easy Tuna Steak Poke Bowls? 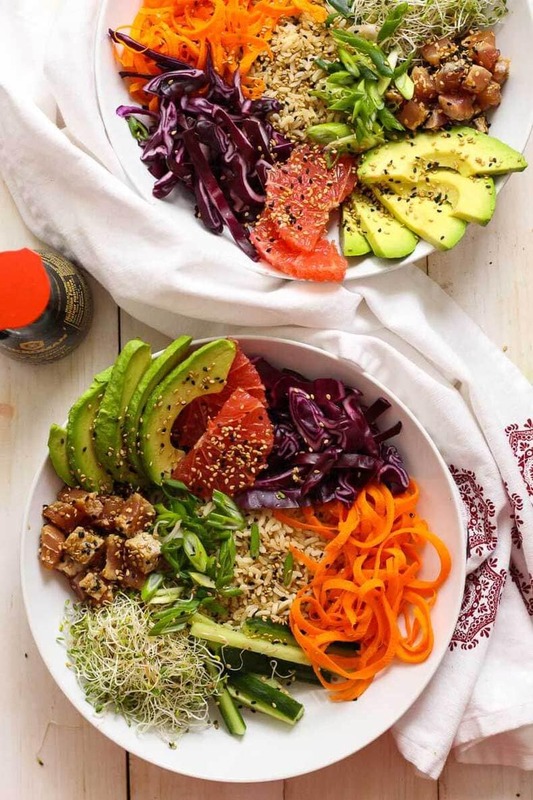 I'd love to see what toppings and ingredients you add to your bowls on Instagram and Twitter! 1 medium-sized tuna steak can sub with frozen tuna steak though not as good! Cook brown rice according to package instructions. 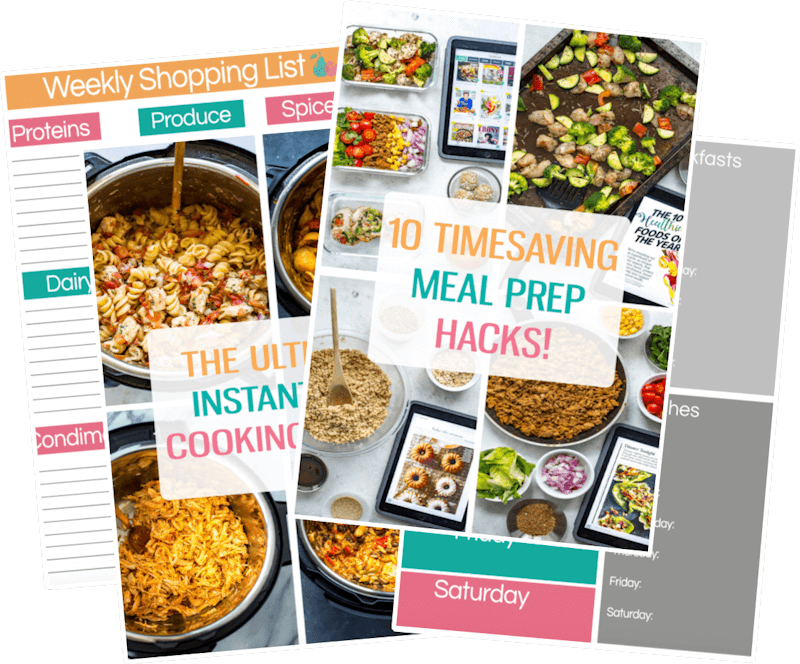 I personally use a brand called Dainty Rice and their Time-Wise brown rice because it cooks like pasta and is ready in 10-15 minutes. Meanwhile, season tuna steak with salt, pepper and sesame seeds, making sure tuna is coated. Divide vegetables into two large pasta bowls. Add 1/2 cup of brown rice to each bowl, and set aside. Heat 1 1/2 tbsp olive oil in medium frying pan over high heat. Once oil is close to smoking, add tuna, cooking for about 30-45 seconds per side. Remove from heat and let sit for a couple of minutes before cubing and tossing with soy sauce and habanero sauce. Use additional soy sauce and habanero sauce for the rest of the bowl as well to taste, or add spicy mayo and enjoy! I am so excited to eat raw tuna again. I’ve been pregnant or nursing a baby for way too long that it will be a great treat! These poke bowls look amazing! Great photos (as usual)! PS – Was it you that posted about “Burnt”? I watched it after your comment 😉 I’m eager to hear about your movie choice tonight. Thanks so much Samantha!! No I don’t think I posted about Burnt haha I’m sure another one of us FBCers did though recently. Was it any good?? I need new movie ideas!! Gah! So much colour! Seriously, February food is not supposed to look so freakin’ cheerful! It makes me feel like (or wish I was) back in Hawaii again. Honestly, this looks so fresh, and delicious, and amazing. I adore tuna poke, but I’d never really thought about adding so many fruits and veggies to the mix. It’s a brilliant idea. Sean – I’m just jealous you have been to Hawaii and I haven’t!! Haha..I’m glad I was able to nail the colour though. Thanks so much for your kind words! Beautiful dish and gorgeous photos! I love the colors and the flavors together. It is so cheerful to look at and I’m sure so tasty! Beautiful dish and gorgeous photos, Taylor! I love the colors and the flavors together. It looks so cheerful and I’m sure it tastes amazing! Holy YUM! 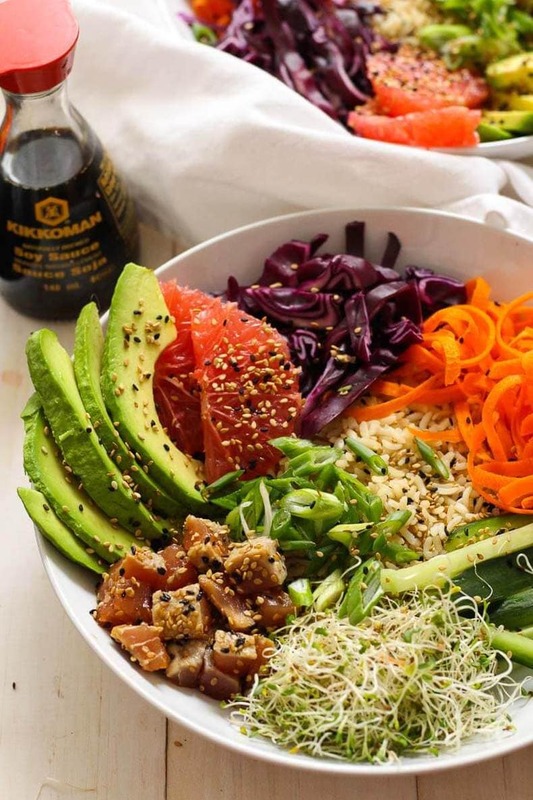 This buddha bowl with all things I love sound amazing! I love tuna poke! Good to hear Bethany, thank you!! 🙂 I am addicted to Buddha Bowls! 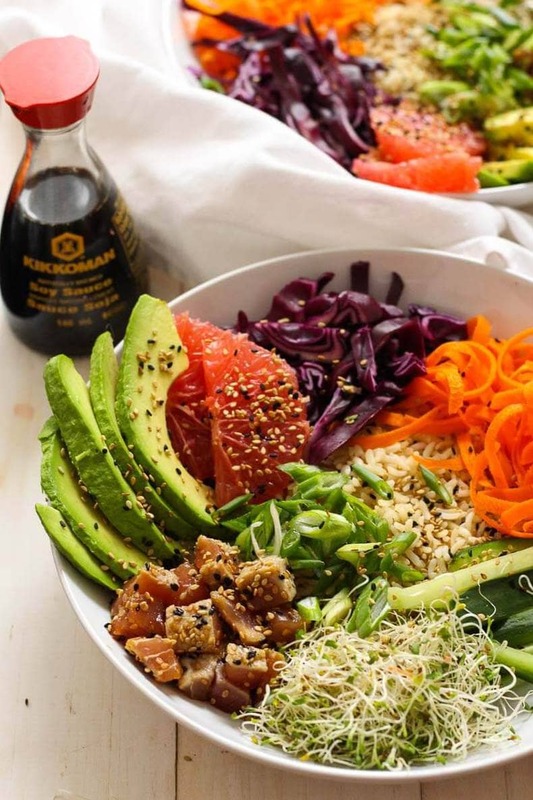 We love our poke bowls in this house – new restaurant just opened up near us with a great version but now I think I might just make them at home! Thanks for the inspiration. Thanks Beth!! I have yet to find a great poke place in town. The trend hasn’t quite caught on in Toronto yet! Thank you so much Tess! Let me know how it works out!